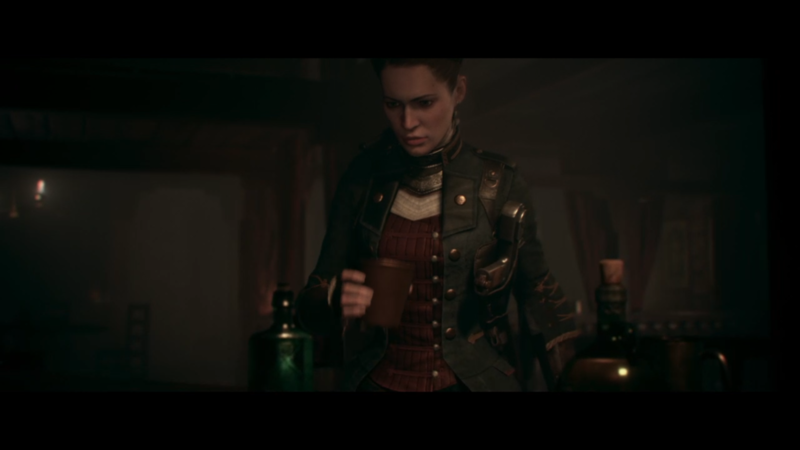 The Order: 1886 has been one of the most eagerly anticipated titles of 2015 and understandably so, as it is Sony’s first major exclusive of the year. It has faced criticism from the public for having too many Quick Time Events as well as for its cinematic widescreen ratio. Many have commented on its “uninspired” gameplay and linearity, while others say it has an extreme focus on delivering a filmic experience while neglecting other important factors. So how does the Order: 1886 fare and how does it address all these issues and concerns that it was so heavily scrutinized for? I would like to begin simply by saying that The Order: 1886 is a great game, and I truly mean a great game. Judged solely on its own merits, it is a masterful achievement. An example of the interactive medium form at its finest. A great story, coupled with a great premise, centered around the astounding backdrop of Victorian England. The story focuses on an old order, originating in Arthurian times, with a purpose of eradicating the Half-Breed threat that has plagued humanity. The Half-Breeds are a race of Lycanthrops that has been around for centuries, and the Order’s Knights’ duty is an ongoing war against them. The story revolves around Sir Galahad and his team of Knights: Lady Igraine, Sir Perceval and Marquis de Lafayette, with the latter being based on an actual historical figure. The Order: 1886 features an incredible story. From beginning to closing credits, it succeeds in sustaining the same level of quality and does so with great performances, impeccable motion capture and animations, as well as an outstanding soundtrack. The most important and guiding factor of The Order: 1886 is indeed its story and the means of delivering its breathtaking visuals. Every little nuance in the actors’ performances, every tiny imperfection on their faces, carries into the game perfectly. The emotional depth of their characters can be felt throughout the duration of the game and succeeds in developing an attachment with the player. The atmosphere and gloom of Victorian London is captured perfectly and the level of detail in everything is impeccable. From street lamps, subtly reflecting the world around them, to the lights bouncing accurately on glass surfaces to different strands of hair swaying in the wind. Particle shower fireworks result when guns are fired, shards of broken glass fly when bottles and vases are shot, the attention that the team has put into every tiny little detail pays off, and creates the most realistic and beautiful world ever seen in a video game. The action is intense, and the gameplay is solid. 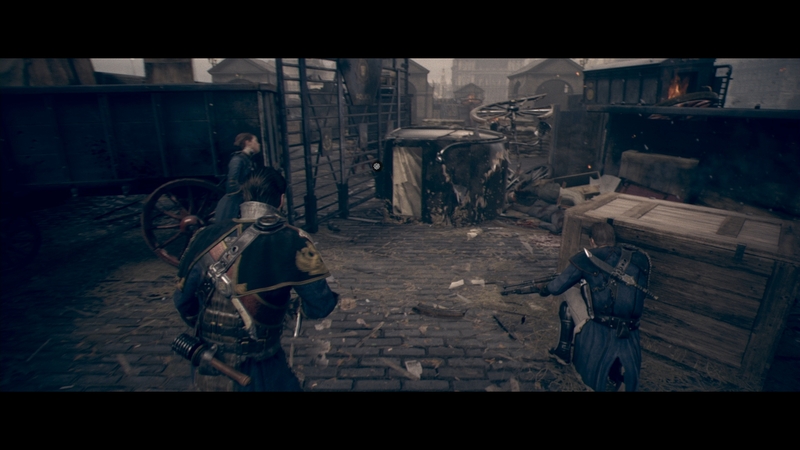 The cover based shooter that lies in the heart of The Order: 1886 does its job well enough. It does not advance the genre nor does it innovate in any particular respect. There are even times that the player can feel a little restricted, and times that it would have been a lot better if gameplay adapted a bit more depending on the player’s actions. 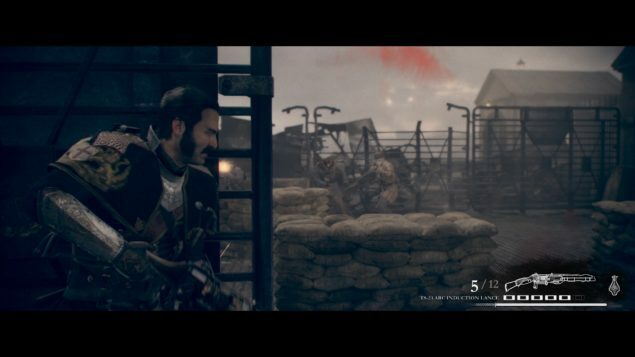 But it’s alright, as The Order: 1886 was never meant to be an innovating action shooter, relying on its unique and genre defining gameplay to entertain its audience. The team’s vision was to deliver a captivating story, an engaging horror drama through the interactive medium of video games and generate an emotional response to the player, making him or her part of the story through realistic cinema and a blend of solid gameplay. It should therefore be judged based on those merits. Concerns regarding the game’s length are unfounded. On its default difficulty setting, The Order: 1886 can last around eight hours, and that is eight hours of continuous intense action and storytelling. No unnecessary fillers and not a dull moment. In a time of online multiplayer experiences that can last countless hours, single player experiences are criticized for not offering enough value. That is understandable and while it is true that some multiplayer components add to the value of a product, it should not be a deciding factor of its quality and worth. Recent single player games have proven that there is still great value and potential for games that do not rely on countless hours of multiplayer, but instead focus on providing a truly memorable single player gaming experience. The Order: 1886 sets the perfect start for a potentially long-lasting franchise that cannot be fully appreciated by its first iteration alone. It generates questions, character developments and an interesting enough back story, that stay with you long after the credits start rolling. It leaves you wanting more and hopefully more will come. It would be a real shame, if the incredibly hard work that the team at Ready at Dawn have put into this project, is not fully appreciated. The huge talent that shines through is remarkable. They should be applauded and encouraged to continue their effort, to portray their vision in its entirety, and not cut short by undeserving criticisms and heavily biased judgements. Ready at Dawn, I congratulate you for this remarkable achievement. I hope that we get the chance to experience this extraordinary tale of friendship, brotherhood, honor and betrayal as it was intended since its inception. Santa Monica Studios and Sony Computer Entertainment, should be proud to stand behind this immensely talented team, and help them in fulfilling their vision.